There are many dog breeds outhere, but only a few can be called “strongest dog breed in the world” below i will name a few and talk a but about our favorite one. Strongest Dog Breeds In The World. For me without a Doubt Alabai, Kangal, Tibetan Mastiff, TosaInu and Boerboel are one of the strongest breeds in the world, however my favorite one is the Boerboel so let’s talk a bit about the African king the Boerboel. What comes first in your mind after seeing a large, intimidating pet like Boerboel? An excellent guard dog with such superior features!!! But along with that Boerboels are famous for being loving and family-friendly pets. 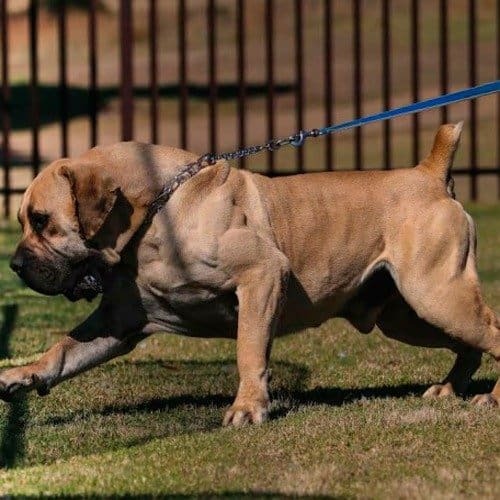 Boerboels learned their trade of being intimidating guardians while guarding the remote South African farmers’ fields against ferocious predators. The Boerboel has a dominating personality that helps them to be great learners. Let’s discuss the few routine behaviors and needs of this dog. 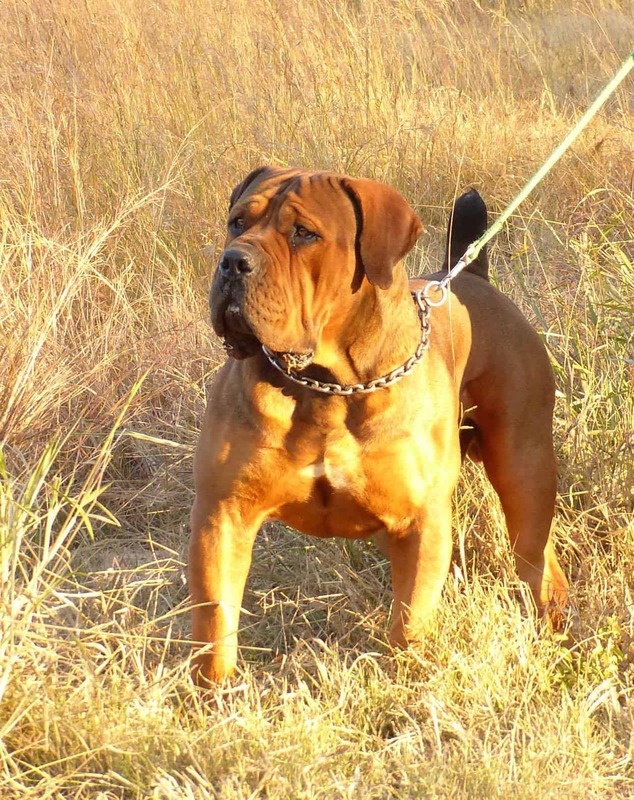 The Boerboel is a strong breed that can weight up to 90 kg! They are massive, wide chest, big head and at the same time athletic breed. Most specialists consider this breed of dogs to be well-grounded, devoted and very savvy. They have a one of a kind mix of harshness and delicacy in their temperament that makes them great family pets. But for all these rugged behavioral trails they need to be treated and grown legitimately. By and large, they are friendly, perky, steadfast, adoring and certain with their family members, especially children. 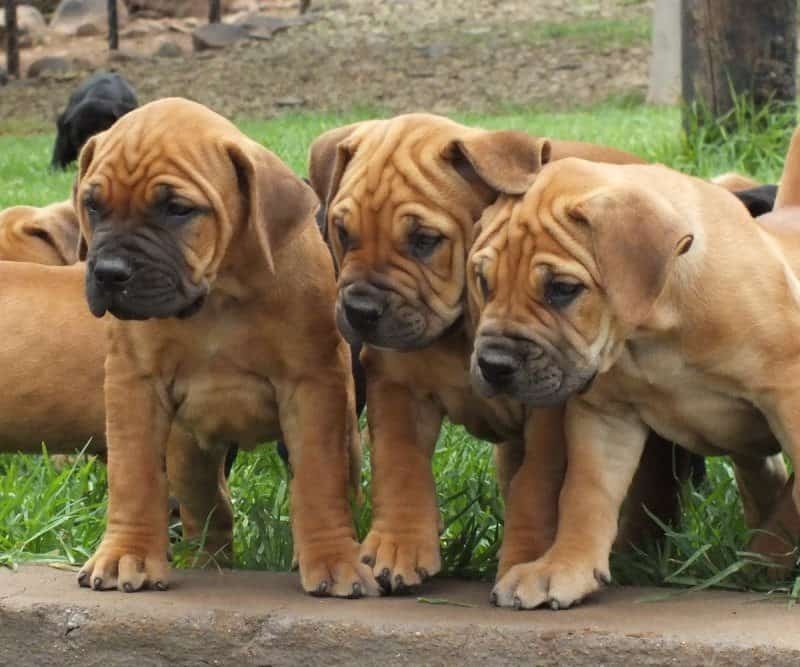 This dominant breed of dogs the “Boerboels” have a solid watch and monitor pooch impulses and are dauntless and amazingly defensive of their kin. The pet parents ought to be cautious about the circumstances they put these Boerboels into, because a dog will secure its family with its life when it supposes it needs to. The results of such an occasion will never be useful for anybody who went through it. Luckily, by introducing your guests to your dogs in a friendly manner by their proprietors, helps your dog accept the guests to the family, even though they may do as such reluctantly and stay wary. Most dogs especially a protective Boerboel will never allow any unknown to access the house as he might be dangerous to his owner. To move around and work out your Boerboel needs plenty of room and spacious house, aiming to keep them stable, glad and calm. An expansive, safely encased yard and a lot of space to extend inside the house are essential for this breeds healthy growth. Boerboels ought to be taken out for long walks every day for exercise and socialization with the outside world and be familiar with the external environment. Pet parents will have a healthy and robust dog breed if they take them out and owe them some time to have fun and play. This is an excellent method to give exercise and concrete the bond between puppy and pet parent. 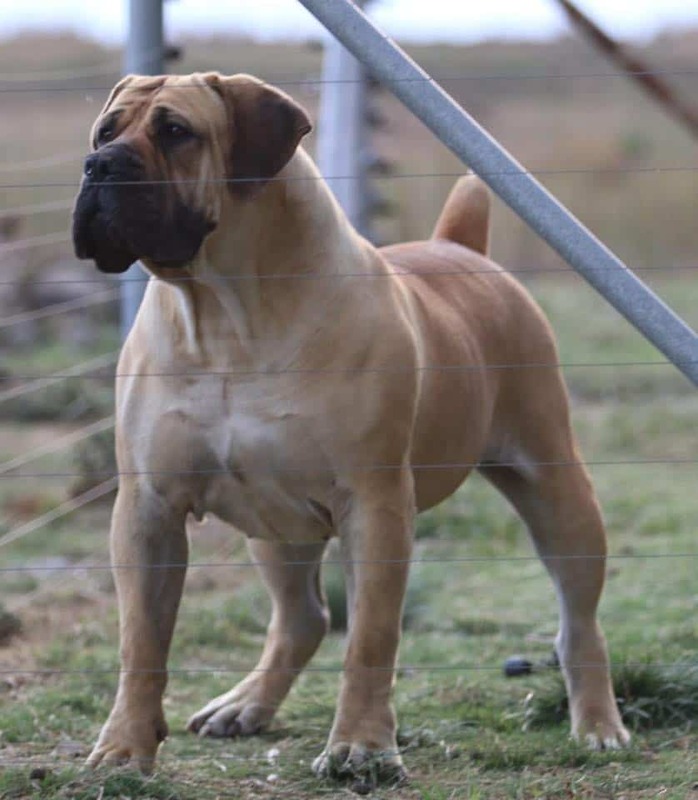 Boerboels flourish when given particular undertakings to achieve. They can contend in submission, rally, weight pulling, deftness, domesticated animals work, assures sports and treatment work, and compliance appears. If you want to be a Boerboels pet parent you first need to read this article carefully to know if you can offer him a healthy upbringing or not. If a Boerboel is not grown healthy, he might be an ordinary dog with no special skills. Thus, just adopting a dog isn’t always enough, you need to owe him your time and care to show your love and affection being a pet parent of an intimidating dog Boerboel. owning a Boerboel, is owning a fearless companion that will give their lifes to protect you and your loved ones, and without a doubt they are one of the Strongest Dog breeds in the World.